(Bloomberg) — The pound could be in for a wild ride as the U.K.’s Brexit bill goes to a vote in Parliament. Traders will be watching for signs of what kind of Brexit U.K. lawmakers will decide on, as well as how Prime Minister Theresa May is faring, with the pound set to sell off if her leadership looks to be under threat. Investors also have to weigh up U.K. data, with production, jobs and inflation all due this week. 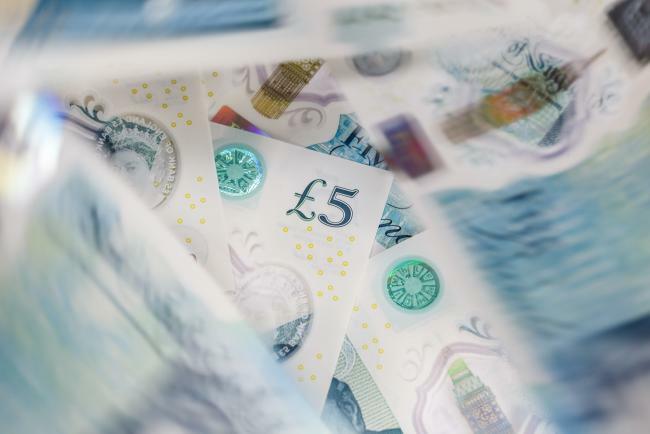 The premium that traders demand to insure against one-week volatility in sterling rose to its highest in almost four months on Thursday, ahead of the June 12 vote in the House of Commons. Yet strategists said they were surprised it wasn’t higher. This could be because a lot of investors are “sidelined”, opting to wait for a clearer path before betting on the pound, said Rabobank’s Foley. This means the currency’s reaction to political headlines could be more muted than expected, she said. After May wrangled with her cabinet over Brexit policy, she has to get her Brexit law through Parliament, but opposition Labour party lawmakers are also divided on the approach. The top-tier data due this week may provide a clearer signal to traders. Inflation is seen holding steady while jobs figures, crucial to the Bank of England view of slack in the economy, are also seen in line. Market pricing shows a 92 percent chance of an interest-rate hike by November this year, with banks including Nomura International Plc expecting the BOE to increase borrowing costs in August. For Jordan Rochester, an analyst at the Japanese bank, the longer-term story is positive for the pound, with Parliament’s intervention set to usher in a softer Brexit and positive data likely to lead to a BOE hike. Yet he is not willing to take a bet on this week’s events. “We’ve preferred long euro-dollar over pound-dollar in the more recent move and we’re just waiting to get past this week before getting involved again,” Rochester said.